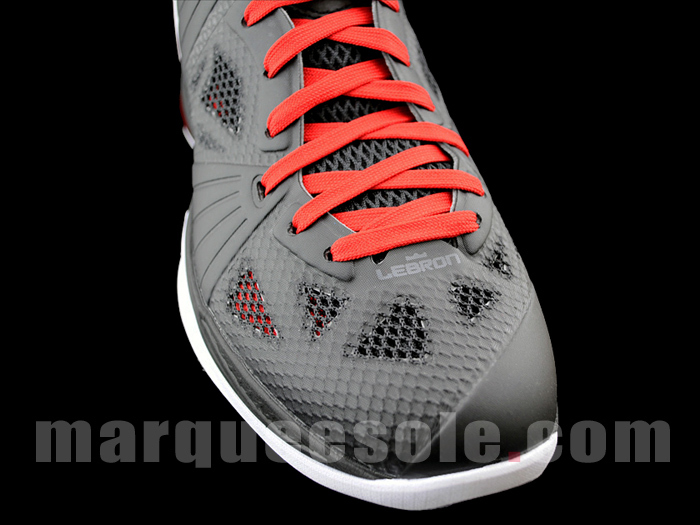 We'll probably see LeBron wear this colorway of his post-season shoe for Miami's road games. After the fun and games of this weekend's NBA All-Star Game come to an end, teams will be focused on making their pushes for the playoffs. Expectations are high in Miami, where LeBron James relocated his talents last summer to increase his chances of winning that elusive championship ring. 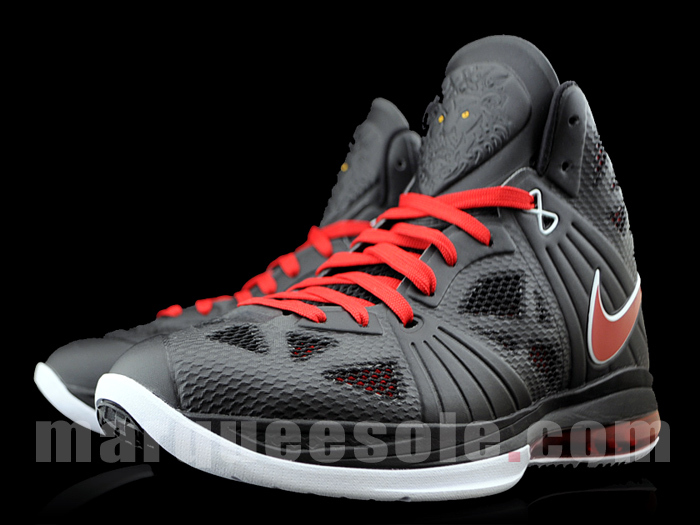 Like last season's post-season run, LeBron will wear another version of his signature shoe - the LeBron 8 P.S. 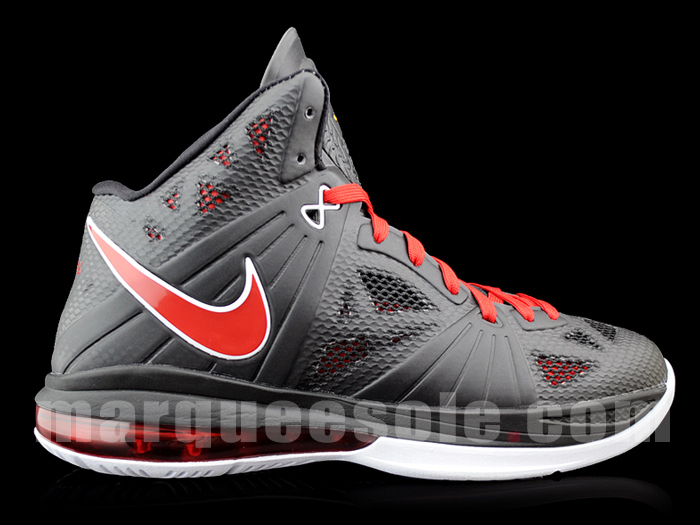 Here's a look at a colorway that we'll probably see him break out for road games. 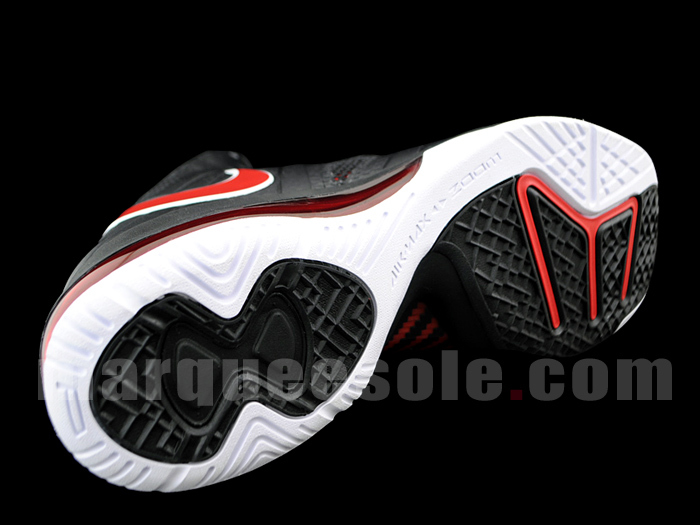 The shoe features a seamless fused black synthetic upper with varsity red working the Swoosh logos, laces and inner liner. 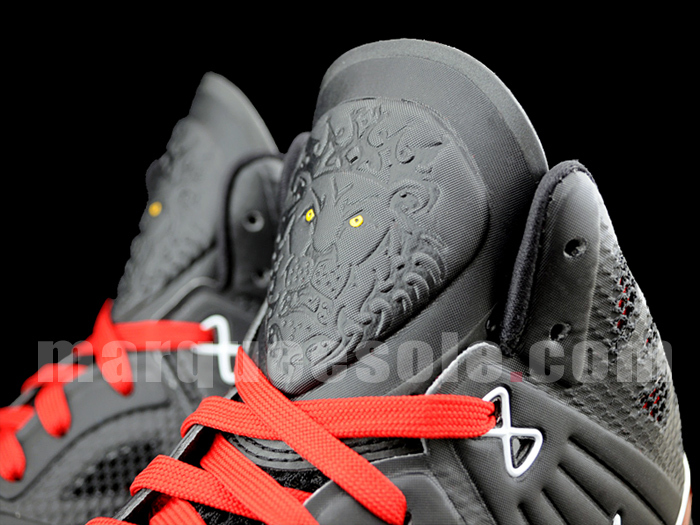 White borders the Swoosh and appears on the figure-8 lace eyelet, while yellow makes a subtle appearance on the lion's eyes on the tongue. 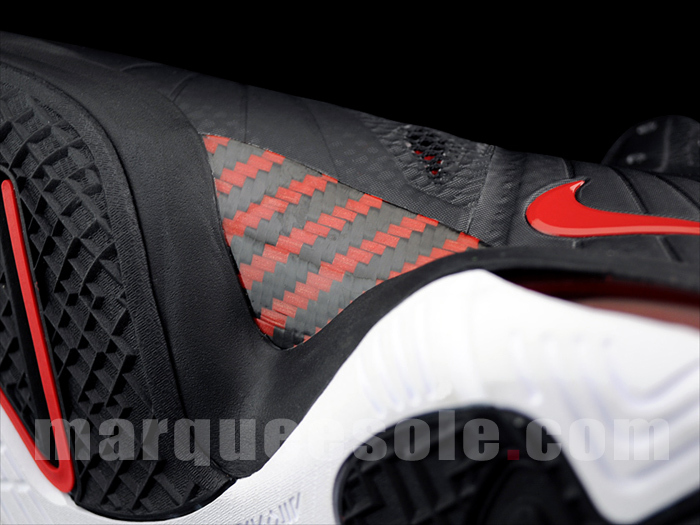 Completing the look below is a varsity red Air bag and white rubber outsole. 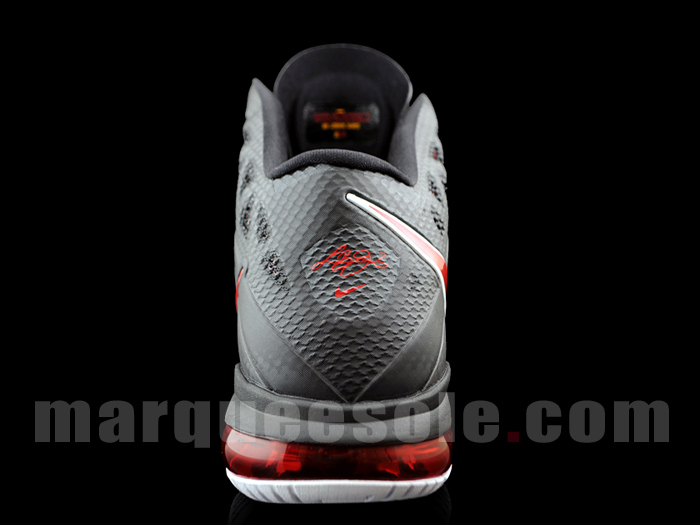 We'll continue to follow-up with more information about the LeBron 8 P.S. as it becomes available. If you're interested in picking this pair up early, MarqueeSole is selling several sizes.